Economic Cycles- Economic cycles are frequently depicted with a sine wave gyrating above and below a longer-term trend line. Throughout history, economic cycles include periods where economic growth exceeds its potential as well as the inevitable busts when slower than potential growth occurs. Most often cycles track a trend line, oscillating above and below it, but spend little time at the trend other than passing through it. Stock Market Cycles- Stock markets also follow a pattern that is well correlated to economic cycles. Strong economic activity results in investor optimism. During these periods, investors tend to believe that rising economic growth and strong corporate profits are long-lasting. As such they are prone to extrapolate these shorter-term trends over longer periods. Investors temporarily forget that periods of above-average growth will inevitably be met with periods of below-average growth. During bust periods, these mistakes are corrected and often over-corrected. Implied volatility is a great measure of aggregate investor sentiment. It measures the expected market movement as determined by the supply and demand for options. When investors are optimistic about future returns, they tend to neglect to hedge in the options market. The sustained and methodical reduction in options pricing causes implied volatility to decline. In recent years, ETF’s and professional strategies whose objectives were to be short volatility steadily gained in popularity and helped push implied volatility down. Conversely, when investors grow concerned over higher valuations, they hedge more frequently using options and drive implied volatility higher. Yield Curve Cycles- The yield curve also takes on a similar path that tends to mirror economic cycles. 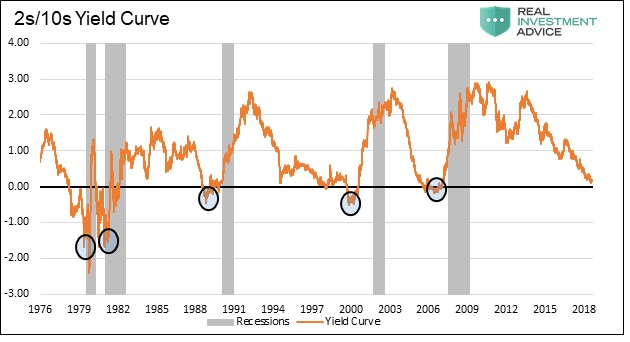 When the economic cycle portends strong growth, the yield curve steepens. That is to say, the difference between longer and shorter maturity yields rises. This occurs as investors in longer maturity bonds become increasingly concerned with the potential for rising inflation resulting from stronger economic growth. 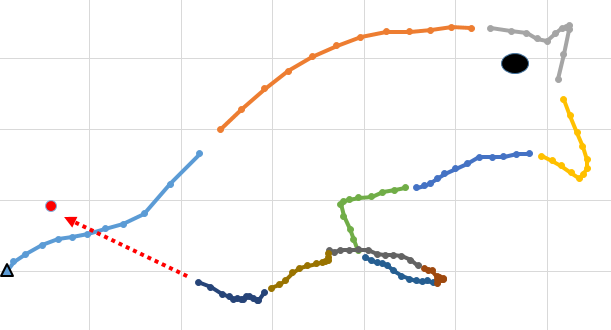 The graph below shows a scatter plot of the relationship between implied volatility as represented by spot VIX and the 3-month to 10-year yield curve spread. 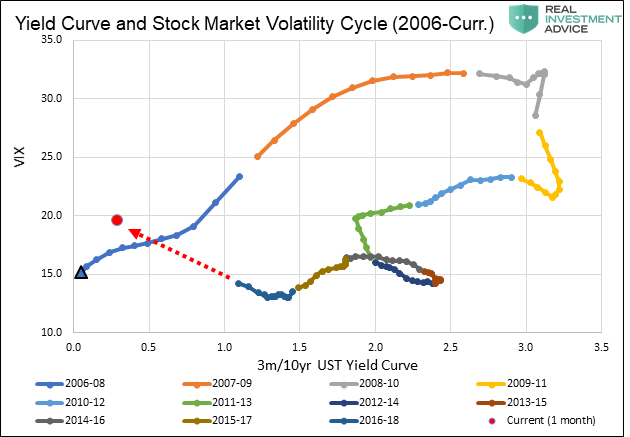 With proper context, you can see the bird is a graph depicting the most recent cycle of stock market optimism (VIX) and the economic growth cycle (yield curve). 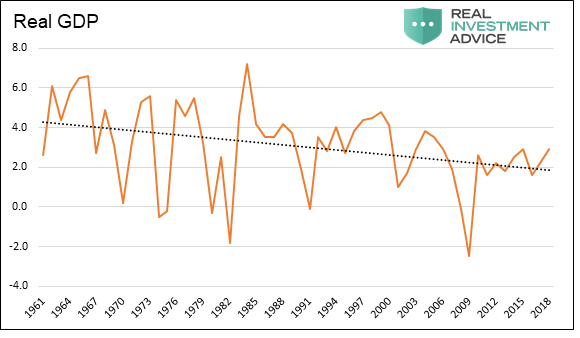 The graph uses monthly periods encompassing two -year averages to smooth the data and make the longer-term trends more apparent.